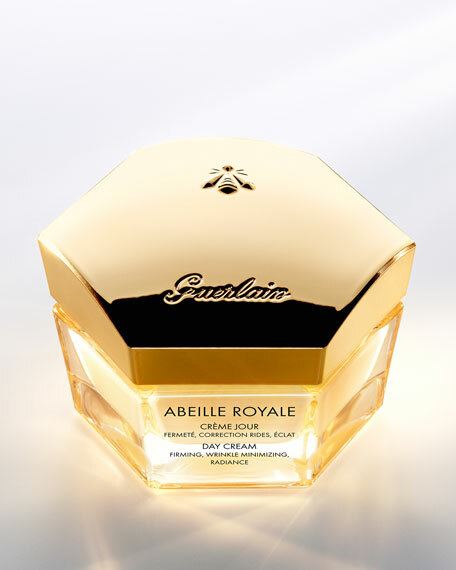 Guerlain Abeille Royale Day Cream, 1.6 oz. 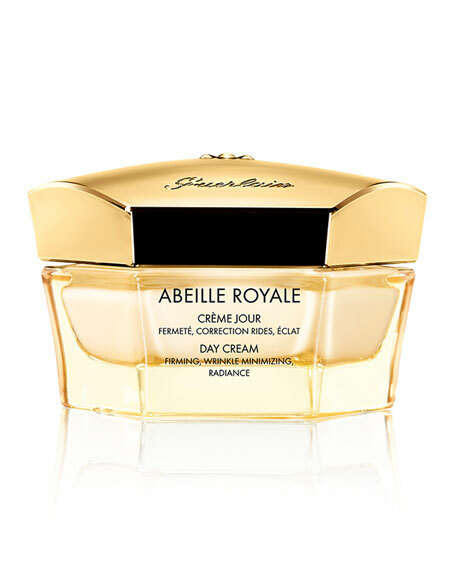 GuerlainAbeille Royale Day Cream, 1.6 oz. 1. Immediate results; the skin is instantly transformed: its texture is smoothed, the skin glows with a youthful radiance(1). 2. Instant and lasting anti-aging benefits: wrinkles and fine lines are minimized and the skin firmed(2). 3. 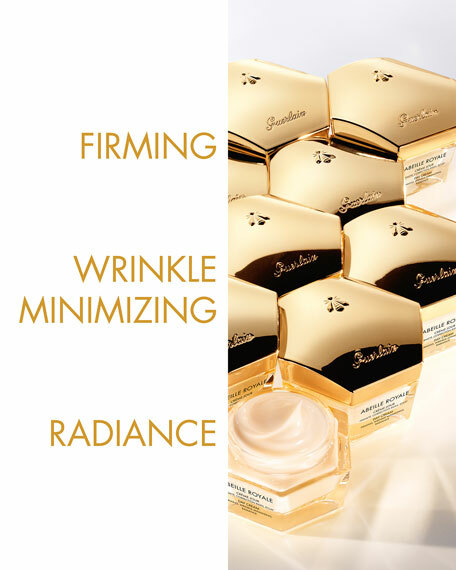 An exceptionally delicate texture that penetrates instantly. Bee products are some of the world's most effective natural healing substances. 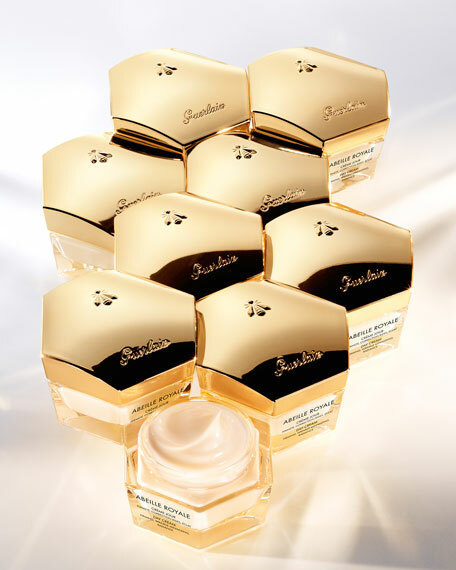 Guerlain Research has extracted their active power to create Abeille Royale: a skincare program with a Repairing Concentrate that stimulates the key mechanisms of the healing process, at every key level of the skin*, to continuously help to repair wrinkles and loss of tissue firmness.